Your photo and wonderful writing creates a beautiful story. Ah…I see you’ve surrendered to the call of the mighty Orbs!!! And it makes for a wonderful post. Where did you capture this little fellow? And what kind of bird is he? 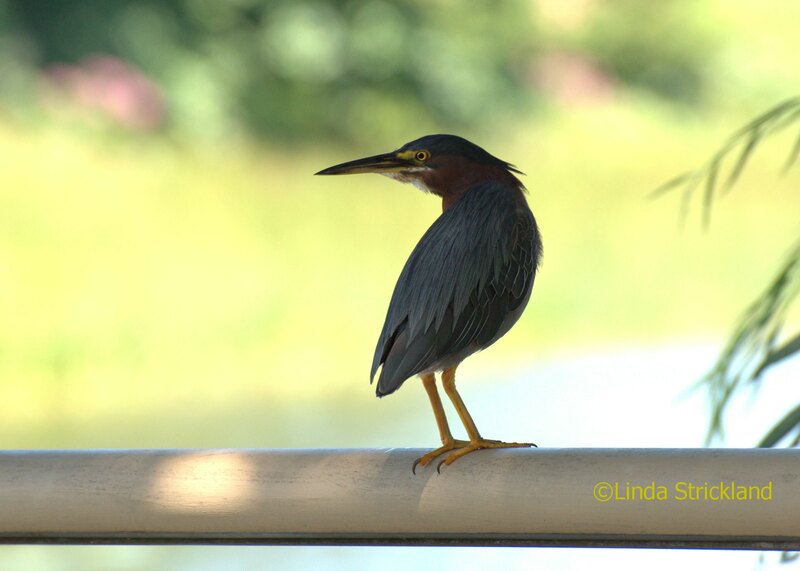 I believe this is a green heron Maryse. If not a green heron, some other type of heron. And yes, I see orbs everywhere now! It’s wonderful. Even in older shots, as this 1 is, 2 summers ago. I guess I look for them now. Oh and he was taken on a bridge. He was just there briefly! This is a beautiful poem, Linda. I can really feel your energy becoming lighter and freer in this. Thank you for sharing it. And such a lovely photo too! thank you joshi daniel. The bird was there for a very quick second! I got lucky.